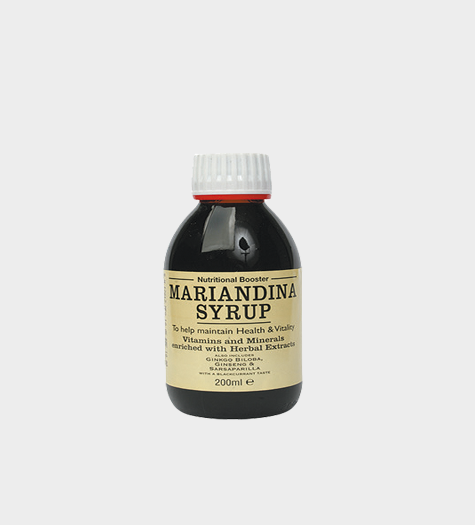 Mariandina Syrup is a nutritional booster specially formulated to help maintain energy, health and vitality in both adults and children. Tag: Dispatched within 48 Hours. It contains a range of Vitamins and Minerals enriched with Herbal Extracts like Ginkgo Ginseng Sarsaparilla, etc., all in a base of honey and malt, balanced in a pleasant blackcurrant taste.